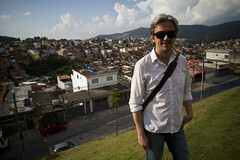 I've returned home from after a brilliant journey to Brazil. It was a full programme and every moment was rewarding. Last year, in July 2011, I was invited by the City of Sao Paulo to speak about Copenhagenize Design Company's Four Goals for Promoting Urban Cycling. On that visit I had the opportunity to meet with the Secretary of Education for the city - Alexandre Schneider and his advisor Daniel Guth, who is the coordinator for the project. 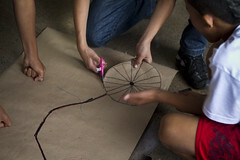 The Education Secretariat is responsible for the education of 1.2 million children in Sao Paulo. A mindboggling number. I pitched them the idea of placing bicycles in their schools as a way for the Education Secretariat to be the 'missing link' for childrens relationship to the bicycle. Most of them still learn to ride but their options for continuing to do so are limited because of lack of safe infrastructure and the explosive and continuing growth of car culture. I explained that bicycles have been on the curriculum in Danish schools since 1947 and that there is a wealth of Best Practice and experience that we could help them draw upon. Boy, little did I know what I was heading into. Or what kind of people I was dealing with. Upon my return last week I was witness to their enormous drive and passion for this project. We're moving full steam ahead towards planting the fertile seeds of bicycle culture in the hearts and minds of not only the children but the communities around the schools. If other cities only had a fraction of the passion and drive that Schneider and Guth have, our task of reestablishing the bicycle on the urban landscape would be a great deal easier. 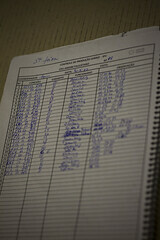 The Education Secretariat is collaborating with a local NGO, who have a team that will run the project. Copenhagenize Design Co., based on our original proposal, are senior consultants. The unique architecture of the CEUs in Sao Paulo. 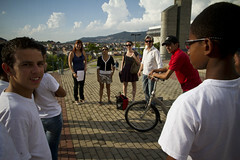 The project - Escolas de Bicicleta or 'Bicycle Schools' - is huge. It revolves around the 46 CEUs in the city. 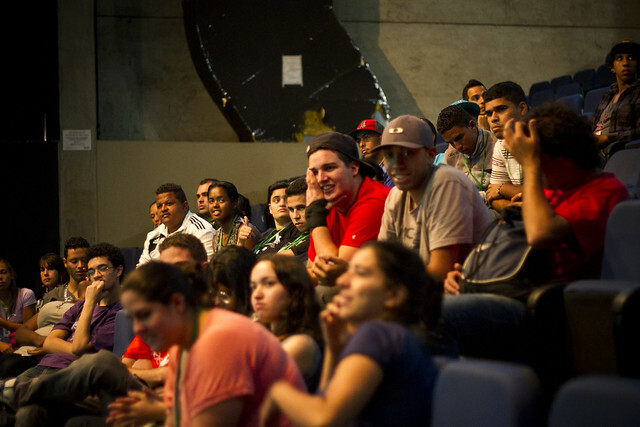 These CEUs - Centros de Educação Unificados - are extraordinary in their own right. Schools for 0-14 year olds but also comprehensive community centres for the surrounding neighbourhoods with amazing facilities for the children and everyone else. Swimming pools, theatres, sports facilities, computer facilties for the locals, you name it. They are the centre of cultural activity in the communities and draw people from all classes to gather under one umbrella, as it were. 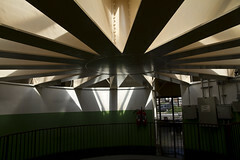 They are often impressive architecturally and rise up proudly at the heart of the communities in which they are placed. Starting in 2002, each CEU has an Early Childhood Center, a Municipal School of Early Childhood Education and an Elementary School and hosts a couple of thousand children in all, in some cases more. 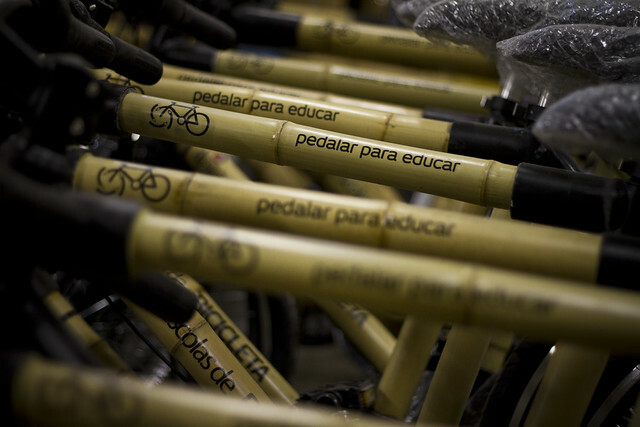 Now each CEU will recieve 100 bicycles - 4600 in all - and there will be two aspects to the Escolas de Bicicleta programme. 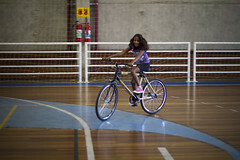 One will be simply providing the students from 10-14 years with bicycles for use in bicycle games and activities. All aspects of bicycle culture will be taught in comprehensive courses lasting one month and covering history, culture, nutrition, etc. The other aspect is that after the course, the children will start riding to school in 'bicycle busses' or 'convoys' each morning and back again in the afternoon. They will have pre-arranged meeting points and escorts to ride with them. In the long run, local youths will be empowered to act as escorts. The routes are carefully planned. None are more than 3 km and they avoid busy streets wherever possible. Every effort is being made to ensure the safety of the children cycling to school. Here is a translated article from a Brazilian newspaper about the project. The budget for this project is €540,000 a year. 92 monitors have been hired to run the project in the 46 CEUs. 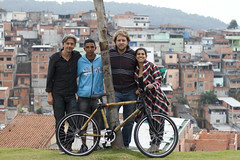 The bamboo bicycle for the Bicycle Schools, designed by Flavio Deslandes. The bicycles are unique as well. 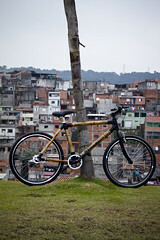 Brazilian designer Flavio Deslandes is well-known in bicycle circles for his bamboo bicycles - Bambucicleta. 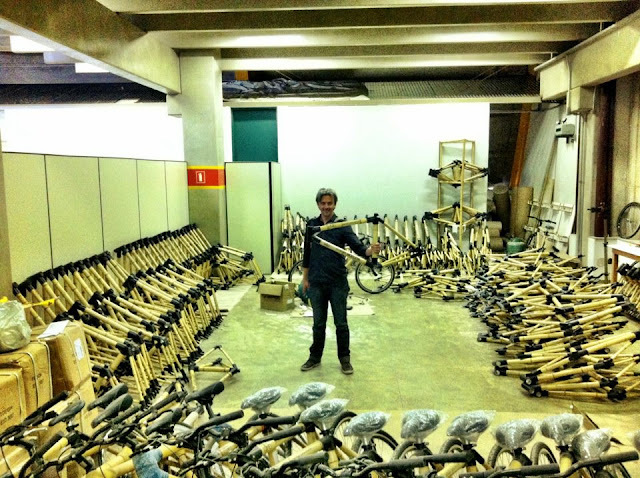 Flavio has lived and worked in Copenhagen, co-producing a bamboo bicycle for upscale Danish bike brand, Biomega and he has specialised in bamboo bicycle construction for many years. 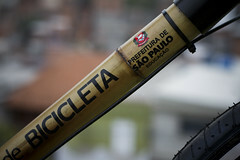 Here's a film clip in Portugese with Flavio about his bamboo bicycles. 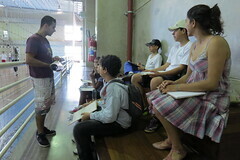 Mikael speaking to students at CEU Paulistano. While in Sao Paulo we visited three CEUs to see their facilities and to meet some of the children who will be participating in the programme. I've been all around this world with my bicycle-related activities but I have to admit that visiting these CEUs and meeting the kids and the teachers - not to mention the people at both the Education Secretariat and the NGO - was an incredibly powerful experience. It sums up in many ways everything I hope for in our work towards placing the bicycle back on its pedestral in our cities. While I aspire to empower in every aspect of our work at Copenhagenize Design Co.,I am humbled by the feeling of empowerment that all these people give me. I also had the opportunity to give my Bicycle Culture by Design talk to the leaders of the cities 46 CEUs, as well as Sao Paulo's traffic department - CET. Regarding the latter, I'm always wondering how my talk will go down. I basically say that 75 years of traffic engineering has failed miserably, that the mentality of traffic engineers is unchanged in almost a century and that we should consider the concept of City Design instead. But it went well. The CET is a key partner in the project. It is their responsibility to keep the children safe on the routes to school. 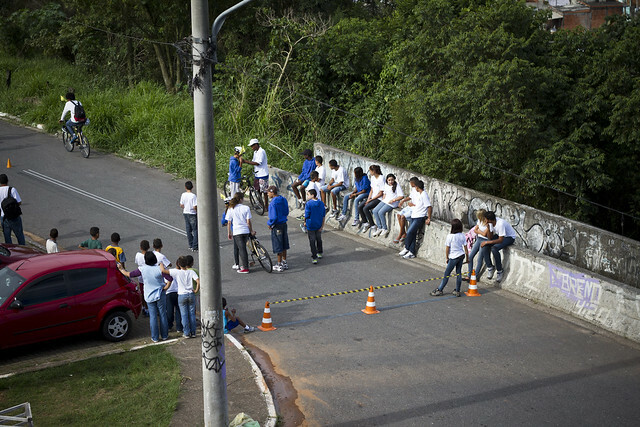 I went out of my way to underline the fact that what we are building in Sao Paulo is not merely a school project with some bikes. It is a monument. A powerful, symbolic human monument and that every effort should be made to make it a success. If a city the size of Sao Paulo can pull it off - and it will - the rings in the water will spread around the world. 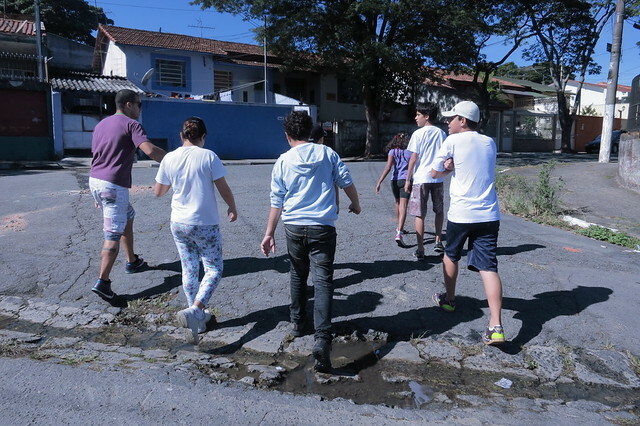 The first CEU, in the Héliopolis neighbourhood, will start the programme in mid-April, after which it will roll out to the rest of the CEUs. I'll be returning to Sao Paulo regularly to follow the progress and am looking forward to seeing the project blossom and grow. 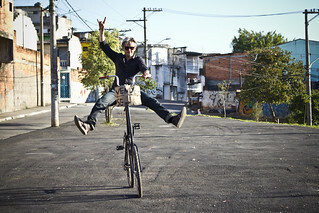 Copenhagenize Design Company is thrilled to be a part of this and to be working with such visionary people in Sao Paulo. 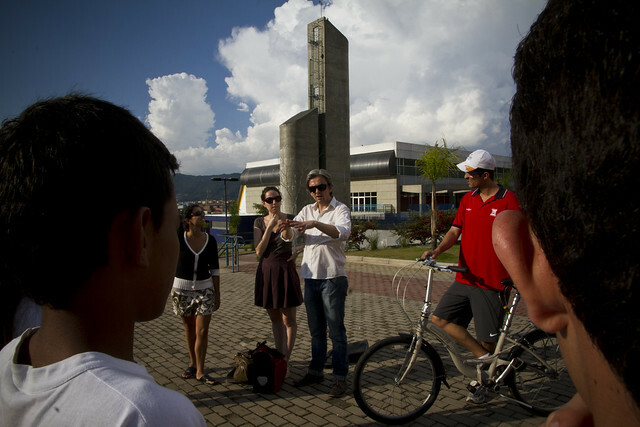 I returned last month from another visit to Sao Paulo, to continue work on the fantastic Escolas de Bicicleta project that Copenhagenize Design Co. developed with the City's Education Dept. On my previous visit the project was in the preparation stage. 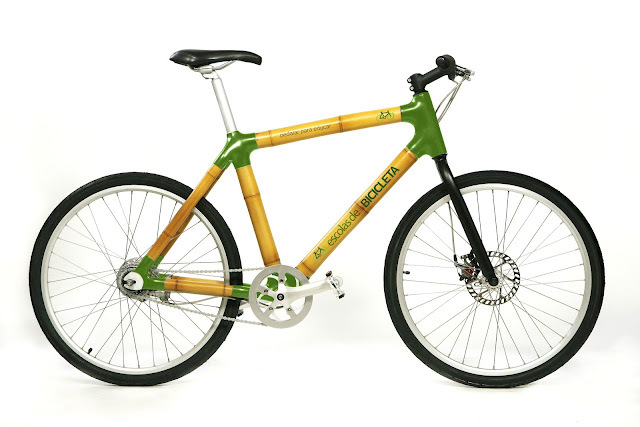 The curriculum for the bicycle classes was being designed and the bamboo bicycles that we were to contruct for the students were still on the drawing board. This time, however, it was very different. The children were ready to roll. I had the pleasure of being present in the classroom at a few schools when the first bicycle class started their course. Right off the bat I have to say that the whole week was inspirational. It's one thing pitching an idea and then building up a project but quite another to see the whole thing kick off. And with children. The whole romantic notion that THIS is the next generation and we are putting them back onto bikes. Planting the seeds and watching the first shoots spring up through the earth on their way to becoming a forest. Seriously. It's hard to describe the emotions. Meeting these kids at the different schools and chatting with them and seeing their enthusiasm and joy has really left it's mark on me. 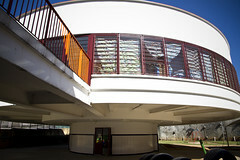 The first school we visited was CEU Sao Mateus. The first Bicycle Class was an introduction to the course. Educators have been hired for each of the schools and trained in leading the courses. 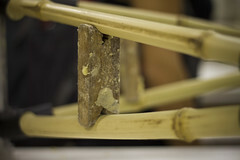 The first day was about getting to know the project, seeing the bamboo bicycles and the accompanying gear like tools, etc. A brief intro into changing tires, etc. Then the kids did an exercise: creating a poster of a bicycle with individually-drawn bicycle parts. 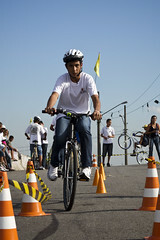 Most of the course will be hands-on experience with the bicycles but the classrooom work will revolve around bicycle history, bicycle culture and other aspects like social inclusion and sustainability. All from a practical, sensible point of view. 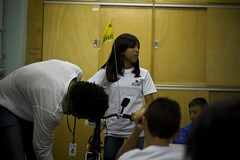 The goal has never been to create a legion of bike geeks - just giving bicycles to kids and getting them to ride them. A legion of Citizen Cyclists. Citizens who just happen to use a bicycle. This is reflected in the curriculum delivered to the educators and a great deal of emphasis was placed on it. 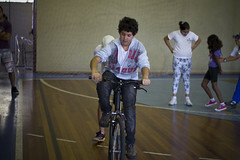 At another school later in the week, the students got their introduction and tested out a bike in the gymnasium (below). 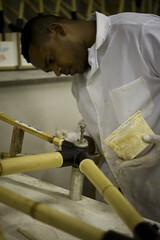 The bamboo bicycles designed for the project were being constructed. We also went for a walk in the neighbourhood to look at the route they would be riding to school in the convoys and to see how many bicycles they could count. Back at CEU Sao Mateus on the first day, the kids had a few bikes at their disposal and we hit the asphalt outside the school to start practicing. Notice I'm saying "experience" and "practicing". Astronauts need "training" - Citizen Cyclists merely need practice and encourage. That's been the case for 125 years. A simple obstacle course was set up and the kids took turns giving the bamboo bikes a spin. There was a festive mood and all the classmates cheered each other on. When we were done, the bikes were still popular and the kids took turns going for a spin. I also had the priviledge of meeting all the educators - the young people hired to lead the courses at the many schools. I gave a presentation aimed at inspiring them and providing them with insight into Bicycle Culture by Design and why the Escolas de Bicicleta project is so important. The next stage was the kids starting to ride to school in their convoys from designated points in their communities, escorted by monitors - largely young people from the community empowered to lead the convoys. 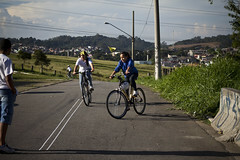 The team took a ride along the route through the community that the children would ride to school. Suddenly this kid rolls up on a tall bike with a For Sale sign on it. He saw eight people on bicycles and figured he might offload the tallbike. I got him to show me how to get up on one and then I took it for a spin, while he tried my bamboo bike. 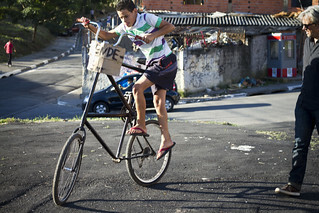 What the hell is a tallbike doing in an eastern suburb of Sao Paulo?! Did some bearded hipster from Portlandia get lost - REALLY lost - and leave the bike behind? I remain amazed by the facilities at the schools we visited. All the ones I visited had swimming pools, great sports facilities, skateboard ramps and bowls and an amazing array of courses. At one of the schools we walked into the chess tournament. The gym was packed for this massive event and the winners were cheered as loud as the crowd at a Santos match after a hattrick by Neymar. CHESS... Wonderful. 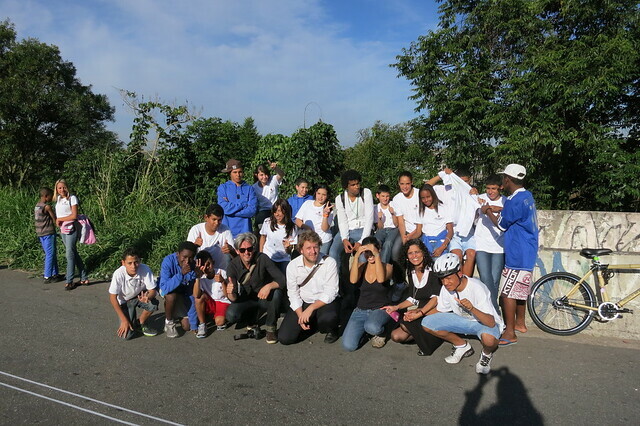 The team who have put this all together on the ground in Sao Paulo are amazing. Such passion and drive. 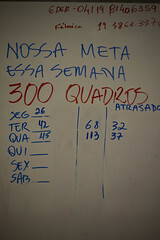 One thing was left at the end of the week. We had to baptize the bamboo bicycles. 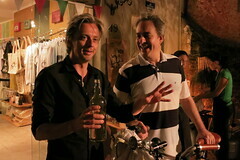 This basically involved the Secretary of Education for the city of Sao Paulo - Alexandre Schneider - holding the bike and me saying stuff, followed by taking a swig of cachaca and spraying it on the bicycle's spinning wheel. I left Sao Paulo on a cloud. Meeting the team once again but also meeting the children on the courses was an inspiration and a revelation. The entire project is exciting. In the last part, I met some of the kids who will be riding to school in convoys from their local community and participating in the curriculum about bicycle culture and history. 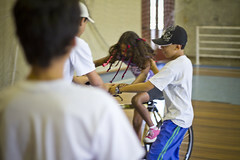 Another important aspect of the project is the bicycles that the kids are riding. It would have been easy enough to buy 4600 bicycles - 100 per school - but with projects like this you can to take things to the next level. 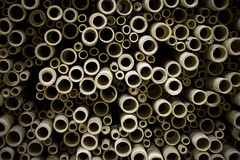 In the photo at the top you're looking at the bamboo required for making a bicycle frame. 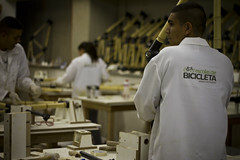 The Escolas de Bicicletas programme also involves the production of 4600 bamboo bicycles for the children. A world unto itself in the project, far removed from the development of the curriculum, training the educators and monitors and collaborating with 46 schools. Luckily, there's a man for that. 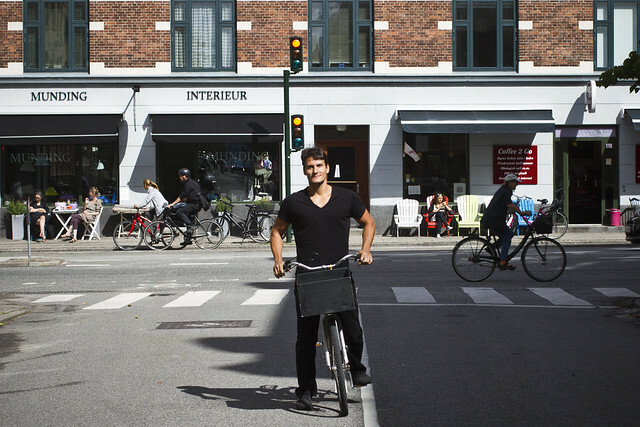 Flavio Deslandes is a Brazilian bicycle designer living here in Copenhagen. 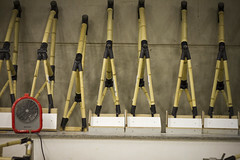 He has been working on bamboo frames for a decade or so and collaborated on a high-end bamboo bicycle for Danish brand Biomega. Flavio's own brand, Bambucicletas, is up and running in Brazil and South America, with plans to expand into Europe. 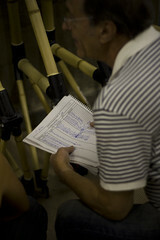 He agreed to design the bicycles for the Escolas de Bicicleta programme and construction of them is in full swing. Constructing 4600 bicycles is a tall order. At one of the schools in Sao Paulo, CEU Sao Paulistano, a workshop and assembly line has been developed by Flavio Deslandes. True to the nature of the project and the spirit inherant in it, the people who are working to construct and assemble the bicycles are locals from the surrounding community. 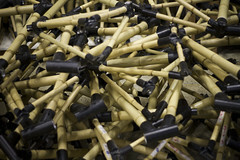 Twelve men and women were trained in the art of making bamboo bicycles. 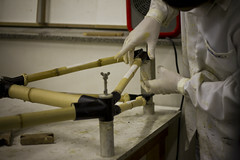 From cutting the bamboo to glueing it into the metal joints to adding the bike bits like brakes and gears and wheels. Bicycle empowerment, indeed. 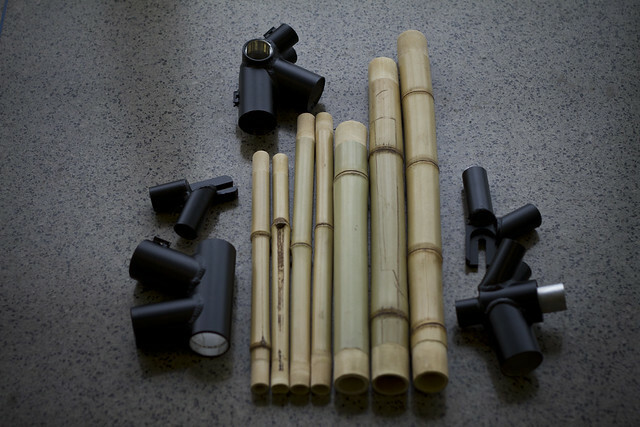 Here's a bamboo bicycle frame kit. I met up with Flavio earlier this week here in Copenhagen and he told me that there have been some growing pains with the assembly process, but by and large it is going well. It's a massive logistic undertaking but once the technical details are in order, it's a smoother process. 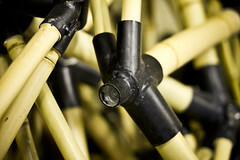 Over 40 bicycles are constructed each day. 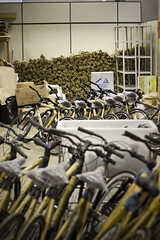 After the resin hardens, the bicycles are sent downstairs to get their wheels and gears and what not. Then they're ready to roll. 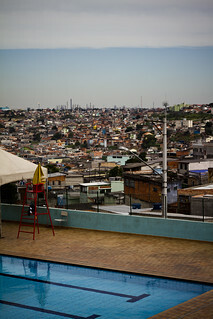 The project was barely underway when other Brazilian cities started to call, hoping to get the programme onto their home turf. We're considering creating a guide to the project for other departments of education in Brazil to follow, based on our Sao Paulo experiences. 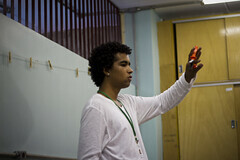 Here's me in the final assemply workshop. 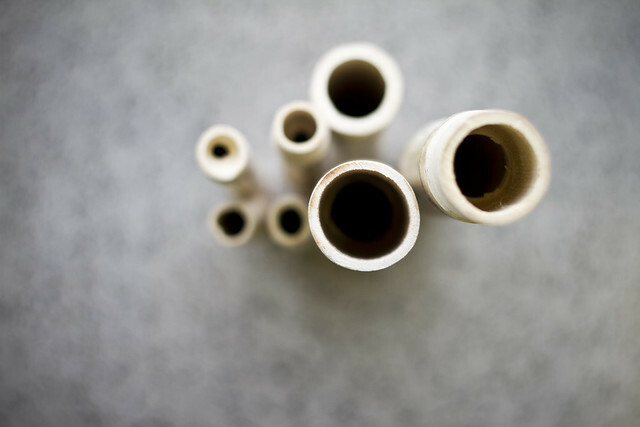 Photo by Daniel Guth. 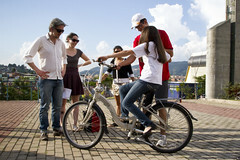 The slogan for the project is "Pedalling for Education". Appropriate, we think.